While in New York gay marches were leading to riots of police against demonstrators, Dutch gay rights organisations decided to create something slightly different. Certainly in that moment was strong the urge of fighting for the rights, for freedom and to change the old mindset. Above all, anyways, was important to stand the right of anyone to be different. So, thought the organisations in Amsterdam, why don’t we just celebrate our diversity, show that we can accept each other? So here we are now,in Amsterdam, celebrating what it seems so obvious, but still it isn’t. That we’re alive and all different. 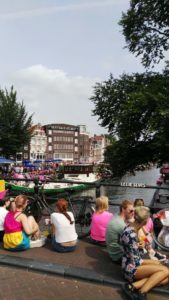 Consequently, every June you can see Pink Saturday, and in August you can fool yourself enjoying the magic Amsterdam gay pride, when the whole city looks like a pink explosion. Old,young, random passer-by or tourist coming from another side of the world – everyone can simply be part of this big party if he wants! 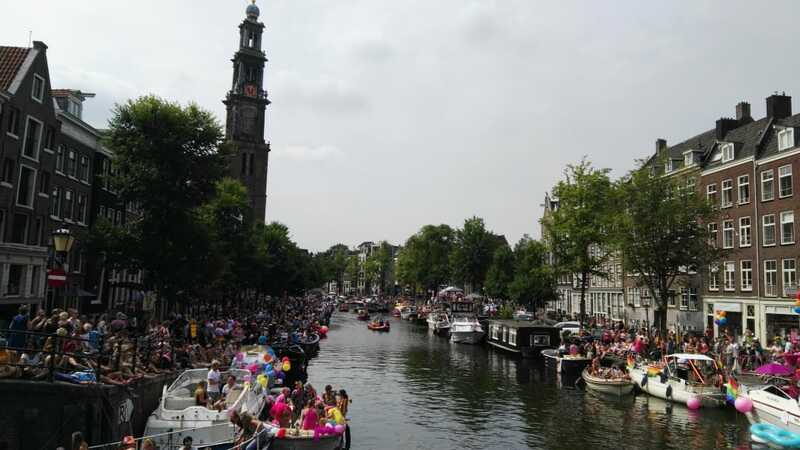 As a result, you can see in Amsterdam these people so different taking boats stuffed with pink balloons, unicorns and flamingos going on the canals. Rather than decide to chill just drinking on the bridge and watching them. That’s something you can’t see every day. The main thing no one is forcing you to be anything or anyone you’re not. As my colleague noted when we were sitting there having a drink and watching all this craziness: “There’re two kind of people, do you know? There are unicorns and horses,and there’s no shame to be any of them,you’re just who you are”. Hi Floria, thanks for your comment! I’ve been there the 4th of August. I doubt it’s still going on 🙂 unicorns to you!